Got squirrel problems? We can help. Learn more about how Intrepid Wildlife Services handles squirrel removal and how we can help you. 24/7 Emergency Service. Click here now to contact us via phone or email. This time of year, raccoons are one of the major intruders you can find in your home. Learn how Intrepid Wildlife Services can help with squirrel removal. Why Choose Intrepid Wildlife Services? 100% Humane Removal & Relocation of Animals! Intrepid Wildlife Services are your 24/7 wildlife control experts. We specialize in animal removal, wildlife prevention and control services to Westchester County NY. Experience under our belts, constantly evolving, and improving our methods suit your needs because wildlife is very unpredictable. Owner Ray Hartley often attends national seminars as either a guest speaker or attendee. He both teaches and learns new methods to remove, exclude and prevent wildlife issues. If you think you have any sort of wildlife problem don’t hesitate to call us. We will respond almost immediately for emergency services. For non-emergency, we schedule a meeting to assess any wildlife issue you may have. Our squirrel removal, bat removal, raccoon removal, bird removal, woodchuck removal, mole removal, skunk removal, snake removal and exclusion services cover all of the Westchester, NY. This is including: Bedford, Chappaqua, Rye, Harrison, White Plains, New Rochelle, Mamaroneck, Yorktown Heights, Ossining, Katonah, Salem, Hastings on Hudson, Sleepy Hollow, Tarrytown, Peekskill, Scarsdale, Ardsley, Yonkers, Pleasantville, Thornwood, North Castle, Mount Kisco, Briarcliff Manor, Eastchester, Portchester, Armonk, Amawalk, Somers, Greenburg and more. To read more about specific jobs in your town check out our Where We Operate page. Intrepid Wildlife Services specializes in humane live trapping methods. Specific live traps needed depend on the animal, size, species and how they gain access to homeowner’s property. With jobs ranging from lawns, attics, walls, crawlspaces, sheds, porches, garages and many more. Although we use a wide variety of different humane traps, they all boil down to three different types. Detailed below are: the individual live trap, a one-way excluder and a one-way multi catch trap. The individual live trap. The most common. The set up is simple and the process even simpler. We use Individual traps both inside and outside. Animal specific bait placed inside the trap at one end lures animals through an open door at the other. 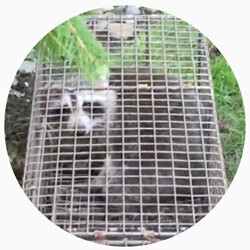 Animals enter the trap and trip a pan or wire. This shuts the door behind them, trapping them. Animals, once trapped, are removed and relocated. One-way excluder. Used exclusively outdoors, this device is used by attaching it over a hole or entry point. This allows the animal to exit and not be able to return because of the way its designed. The animal itself is not caught but allowed to exit and not regain access. One-way multi-catch. This is similar in design to the one-way excluder. A trap like this is used to capture animals using an entry point or hole. The system again prevents animals from regaining access. The only difference is that they are captured in a trap and can then be relocated. In most instances more than one animal is captured at once because of the design. Work with a lot of different wild animals such as raccoons, squirrels, bats, skunks etc. require different tools, systems, and methodology to capture. Wild animals do act similar to one another, but they can often be unpredictable. Every job must be treated differently. Once all wildlife has been removed Intrepid Wildlife Services then seals up vulnerabilities, entry points, holes or potential openings. This prevents future wildlife access to your home. In addition to removal we also specialize in damage repair and exclusionary work. 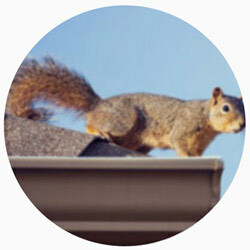 We ensure that once the animal(s) are removed, your home is animal proof. We install 100% stainless steel chimney caps which prevents birds and squirrel damage. Intrepid Wildlife Services creates custom vent covers. They seal off your attic from intrusive raccoons and bats. We cover it all! The next time you need the assistance of an experienced Westchester wildlife control service, Intrepid Wildlife Services is the only name you’ll need to remember. 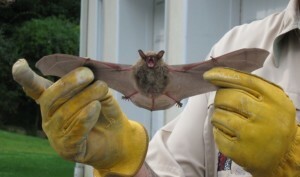 Intrepid Wildlife Services Recently Featured in WABC-TV Segment on Animal Control http://www.prleap.com/pr/227043/intrepid-wildlife-services-featured-in-wabc-tv Intrepid Wildlife Services can also more extensively evaluate your home to determine vulnerable points of entry before unwanted wildlife has the opportunity to enter. We will then seal or modify the habitat to reduce the likelihood of wildlife, or small animals moving in. Our animal prevention services such as our most popular squirrel control and prevention offers careful exclusion and proofing specifically aimed at reducing the chance of future property damage or problems. Rattlesnake Sightings in our area! Intrepid Wildlife Services was recently featured in a news segment. In Rockland county, several copperheads and water moccasins as well as Rattlesnakes have been found here recently. It is illegal for unlicensed handlers to deal with these animals. What Wildlife are We Dealing with Now? With temperatures reaching the 20s it’s hard to believe that Christmas is right around the corner! Right now is a good time to inspect your house’s exterior for loose boards and rotting wood. Squirrels could use as an entry point because they will use vulnerabilities to store food reserves for winter. We have begun to receive a lot of calls about noises in the attic along with people seeing Gray Squirrels entering their homes. Our average for Squirrel removal inside a home is between three and five. We have, in some cases, removed as many as 20. With that said, it’s imperative that people check for any vulnerabilities before it’s too late. In late fall squirrels are generally spending most of their time gathering and storing food and nesting material in preparation for the winter. One such place they store these items are inside peoples attics. This can lead to a variety of issues. If you think you may have an issue or aren’t sure Intrepid Wildlife offers services to help. From inspecting homes to sealing off, fixing areas before unwanted squirrels enter, and even trapping / removal if they’ve already gained access. Don’t hesitate to call.